The embroidery industry is always changing. 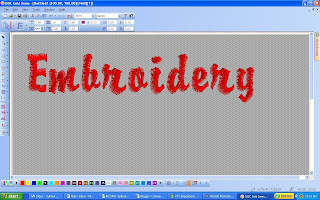 In this blog we will expore new techniques and markets, as well as new technology and how it can be used to boost sales and open up new marketplaces for commercial embroiderers. You have started an embroidery business, your machine has been installed, you have learned the basics of your software, you open your doors and you are ready to go. So before you rush in and conquer you might want to scan this very helpful list of terms so you can go out swinging fully prepared for any situation. Ken is an accomplished embroidery designer and nationally-known instructor in the world of embroidery and fashion design. From Head Designer and President of his own fashion design house to bringing innovative insight into the designing of embroidery software, Ken has spent 27 years focusing his expertise in embroidery. He has been on the faculty of such shows as the Creative Embroidery Conference and Original Quilt and Embroidery Expo. Much of Ken’s time has been dedicated to the expanded use of embroidery products and recognition for the home embroiderer, serving as President of the American Embroidery Council and as a founding member of the Embroidery Hall of Fame. He has served as the Editorial Director for Stitches magazine, Profitable Embroiderer and Stitches World. For the past 10 years Ken has taught Embroidery and Lace Design at The Fashion Institute of Technology part of the State University of New York system. Ken has a passion for sharing his philosophies about designing and placing embroidery for maximum appeal and marketability.